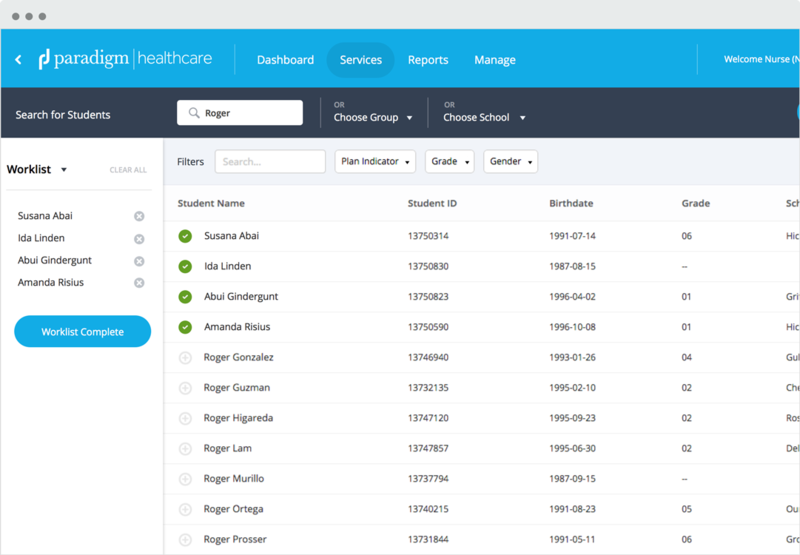 The new Paradigm Student Health Network (SHN) includes updates that create a more streamlined and user-friendly experience. Here, we would like to introduce you to these new improvements. The new SHN interface can still do everything the old one did but with a few key enhancements making it easier to do. The following tour will highlight these changes and show you where things have moved. Introducing the new worklist, allowing you to select and work with a single student or multiple students at a time. 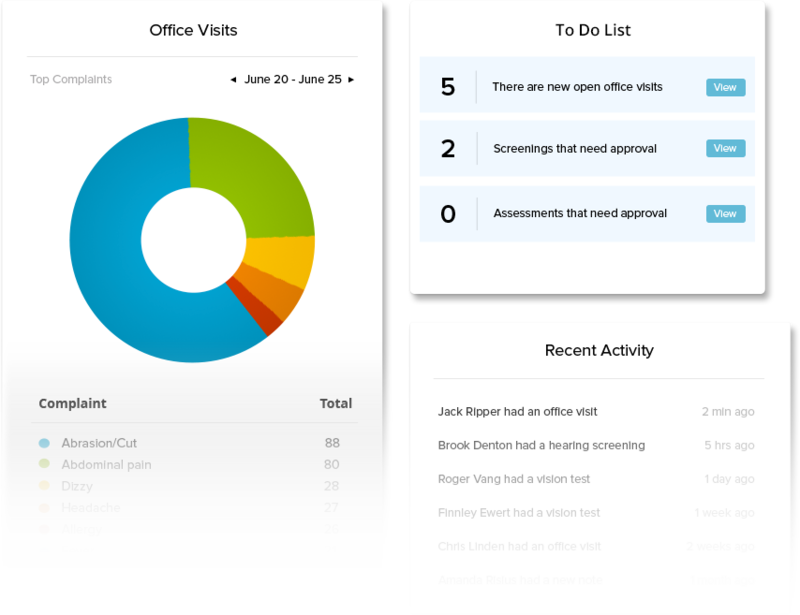 See an overview of your recent activity, To Do’s, and charts for better insights into your data. Easily and quickly create a caseload, add or remove students, and even add students to your current worklists. Improved layout and filtering for an up-close look at all of your data in easy to export files. Our new design takes all the functionality of our old SHN and streamlines it. 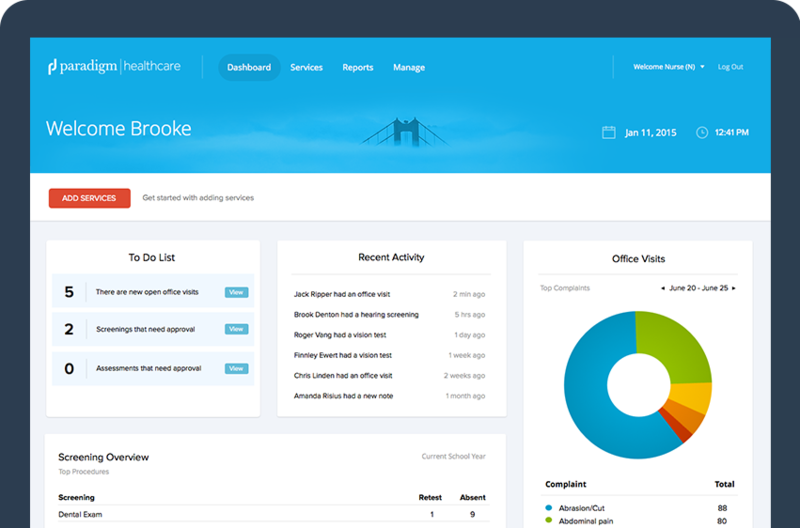 The updated interface is a cleaner and clearer experience for you, the user, making the new SHN not only functional but also easier. The new SHN introduces an exciting new workflow, the worklist. The worklist allows you to more easily select students to work with. No more going back and forth, now select all the students you want to work with at one time. The dashboard is the place to see an overview of all your work within SHN, providing a high level view and insights into the entries you have made in the system. It also includes shortcuts to quickly and easily get you where you need to go. 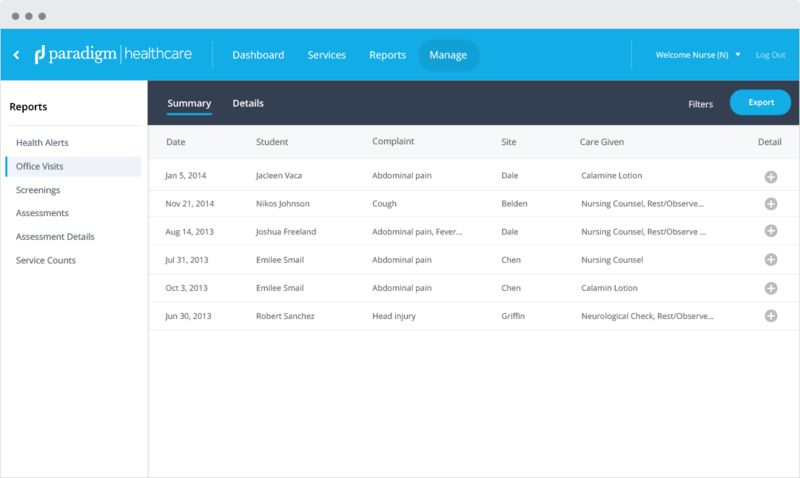 The “Manage” section of the new SHN is where you can find your caseloads and approvals. 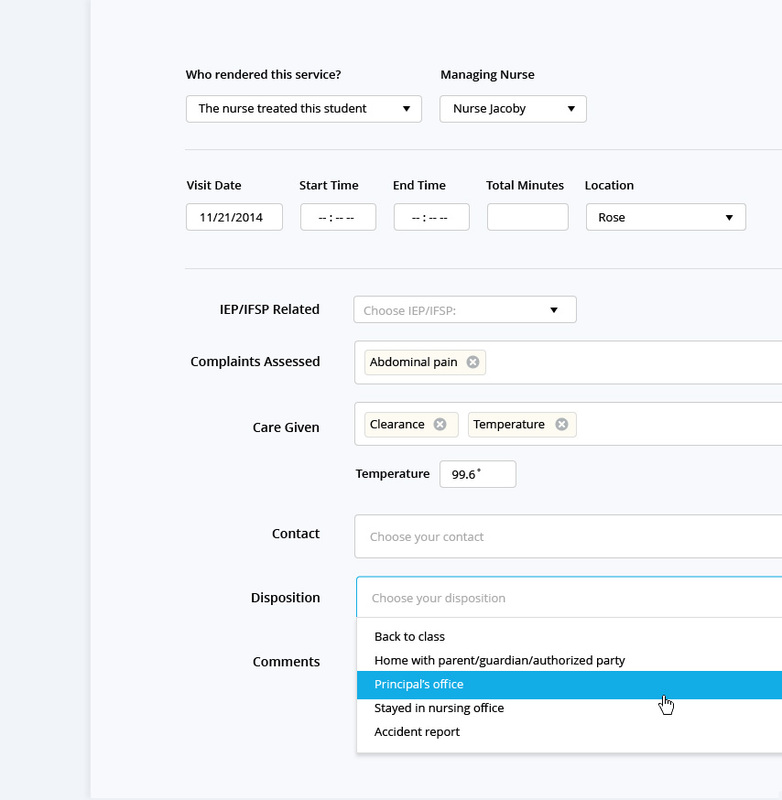 The new simple interface allows you to quickly create a caseload, add or remove students, and even add students to your current worklists. 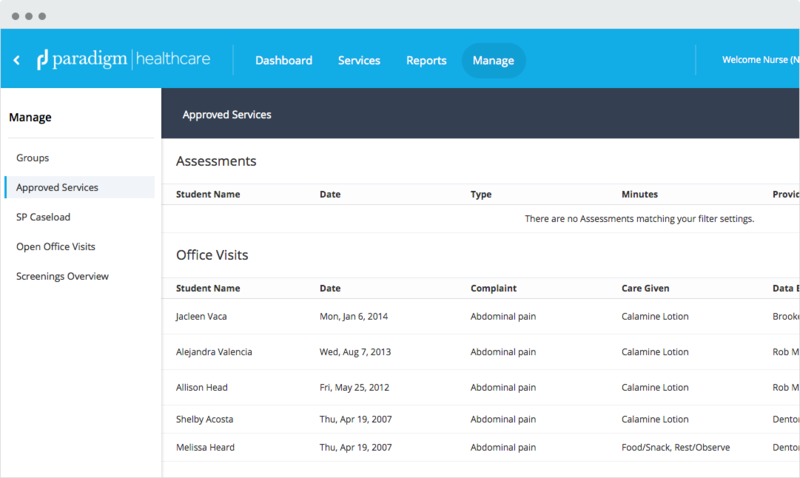 Get an up-close look at all of your data in Reports. Here you have quick access to your reports along with in-depth filtering to help you get the most out of your data. The new Paradigm SHN is ready for you! To get access to the streamlined and easier to use interface click the button below to let us know that you are ready to start today.